The expense associated with the designer’s services will vary with education, expertise, and demand. A seasoned designer will charge more per hour because they are good at what they do, and they can usually pull together a project more efficiently than a new designer. The designer must be looked upon as a value to the project. Just think: you probably would have ever thought to put together the color / decor combinations that your designer does. Their eye, vision, talent, and most of all experience all come at a price. Now, with that price needs to come a layer of trust. I always tell my clients, “The quicker you trust me, the more money you save!” There are clients that you present to and tell you to “go for it”; and then there are clients who need to see every possibility before they finalize the choice. When I first meet a client, I do not know what category they fall into, so it is difficult for me to tell someone how much time I am going to spend on their project. That is why I always ask my client what their budget is before we get started. This way I can estimate how much time we CAN spend and still get a room together that the client will enjoy. With that budget comes the discussion of the Design Triangle. This is a great visual tool that has helped me show clients how to think of interior design. 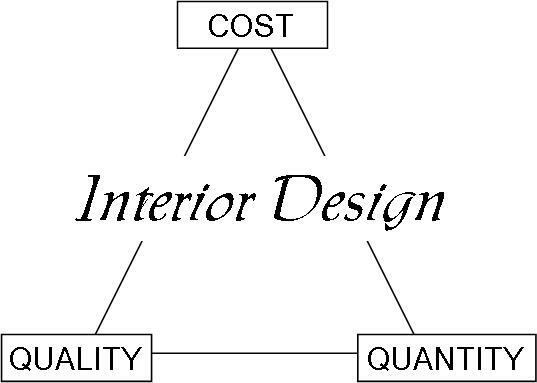 There are three factors when approaching a project: cost, quality, and quantity. Pick two, and the third will follow. If you have $20,000 and want high quality for a living room, then you will limit the quantity of items you can buy because the budget will limit you. But if you have a large need for items and high-quality design, then you will have a high budget. If you have a $20,000 and you need a lot of items to complete several rooms, then you will probably have to pick a lesser-quality product to fulfill that need. In fact, I just recently met with a client who only wanted high-end cabinetry in her kitchen but only had a $40,000 budget. She looked to me to come up with a miracle, but the choice lay only in her hands. OR, if she wanted stay with the highest quality cabinetry, then she must radically minimize the scope of her project. In the end, the budget could not budge, and she insisted on high-quality cabinets, so she chose to keep the size of her kitchen small. Whatever your budget, a good interior designer should be educated, in a legitimate business with insurances, a portfolio and references to share, and have a contract that spells out how they work and how they are compensated for their time. This package can come at all different price points, and it is up to the consumer to decide if that price point works for them. Just remember: the cheapest isn’t always a value, and the most expensive isn’t always the best. As a consumer you need to do your homework and find a designer that works well with your personality and needs. 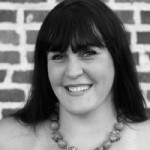 If you are looking for a qualified designer in your area, start your research and search at ASID. 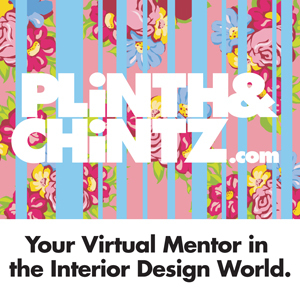 CLICK HERE to find a designer in your area.